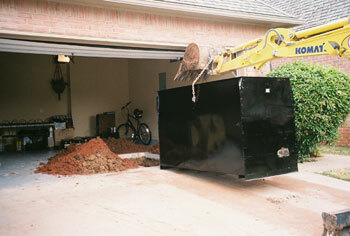 Storm Defense Shelters install easily in the garage, on the patio, or in an outbuilding. 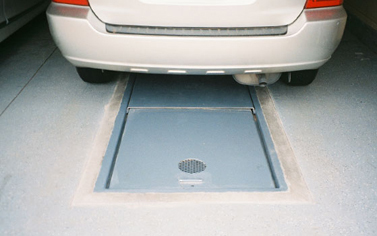 If you are building a home, the Storm Safe Tornado shelters can be installed almost anywhere. We have the expertise to work with your home builder and can install the shelters prior to the house closing. 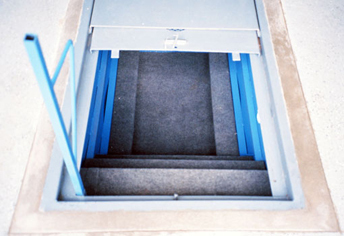 The Storm Safe tornado shelters have a Registered Professional Engineer Seal and meet or exceed FEMA guidelines including FEMA 320, FEMA 361 and ICC 500. Once completed you can landscape and know that you have a safe place from tornados and violent storms. 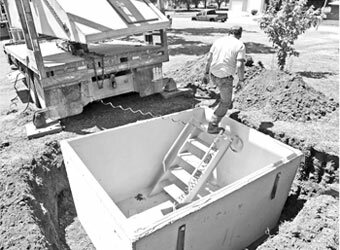 Once we have checked for utilities and determined the best place for your storm shelter we cut through the concrete and prepare to dig to place your tornado shelter. 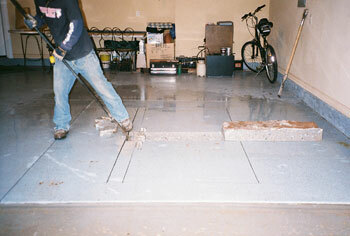 Once the concrete is cut we will remove the concrete floor. 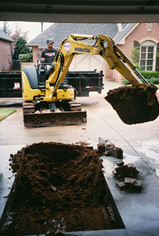 excavate the opening for your tornado shelter. 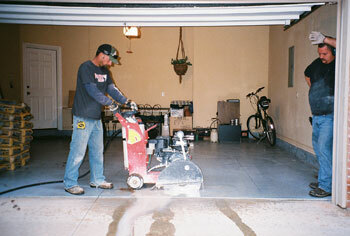 During this process we are very careful to avoid any damage to landscaping and concrete. All dirt and concrete will be hauled away. 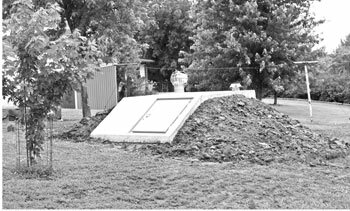 Once the hole is prepared the storm shelter is placed in the opening where it will be level and in place to protect your family from nature. When completed the opening will be professionally finished and your investment in your home and your safety will be ready for the next tornado warning. Here the new tornado shelter is shown with the door open and the hand rail raised to make entry easier. Once the shelter is completed you should remember to stock it with emergency items.